At this year’s IFSEC International, Paxton will be marking the fifth anniversary of its innovative door entry system, Net2 Entry, on its stand, D850. The company has long held a vision of innovation and product diversification, leading to the introduction of cutting edge solutions to the market, and it was this vision that led the company to launch Net2 Entry in July 2012. Here, Gareth O’Hara, Paxton’s Chief Sales Officer reflects on the developments within the door entry market over the last five years. We are living in a world where technology is moving forward at an ever increasing rate and it’s essential that the security industry keeps up with these developments. There is an expectation in the sector for manufacturers to be at the forefront of any advancements, developing products that are innovative and efficient, whilst also focusing on the benefits to the installer and end user, whether the product be cost effective, easier to install or offer features that weren’t available previously. When Paxton entered the door entry market five years ago, it was a completely new venture for the company. 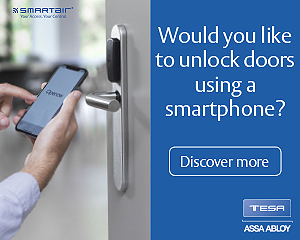 We wanted to combine the expertise we had in access control, together with the knowledge we had of related technologies and develop door entry solutions that met the needs of the market. Traditionally many door entry systems had been complex, requiring sophisticated engineering to be correctly configured and controlled. This expertise is expensive and adds to the overall cost for the customer. Key for us was that our products should answer some of the concerns from installers about the door entry market at that time, notably the complexity of available systems made up of multiple and disparate components. Developments in IPV6 network technology allowed us to launch Net2 Entry, a true plug and play system for installers consisting of just three components that would auto-detect on set up; external panel, interior monitor and door controller. This meant they could now offer a solution to their customers that added a simple door entry system onto their existing IP network. As with all our products, Net2 Entry was developed in line with Paxton’s core values placing simplicity and quality at the heart of the solution and this was supported by our 5 year guarantee and industry leading technical support. The subsequent growth of the company has allowed our Development team to look at improving the build quality and manufacturability of our products, driving us to produce solutions that are fit for purpose. We have always listened to feedback to develop and enhance the range in line with our customer requirements. 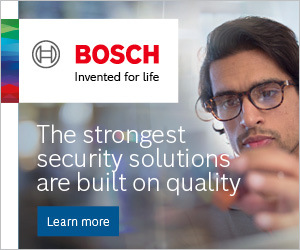 In 2015 this included improved functionality for installers and integrators, with a new more intuitive interface, the addition of a pan/tilt camera to capture an angled view for increased security and the ability to read MIFARE® token technology. It was at this time that we introduced a grouping feature to the Net2 Entry operating software. Multi-tenanted buildings, such as office or apartment blocks and gated communities could take advantage of this, enabling the partitioning of sites, buildings and floor levels for straightforward and easy access. The improved SIP compatibility also allowed sites to enjoy the flexibility of answering their door via SIP-enabled smart device or handset. We know that functionality has always been a key driver for our installers when choosing a product, however aesthetics are now an ever increasing consideration too. Installers want to offer their customers design led solutions and it was in response to this that we developed the latest addition to the range, the Net2 Entry Touch panel, launched in March this year. With the new panel we were able to introduce a host of new features, including a quality 7-inch colour touch screen and personalisation options, making it suitable for more sites than ever before. Improvements to the user interface made it straightforward to navigate, offering dynamic search functionality alongside customisable branding options. New features also included a line-out for use with a T-Loop antenna for users with hearing aids and an advanced sound processor for clearer sound quality in busy, high traffic areas. Plus, a high contrast theme to make the screen easy to read. We are delighted that our focus to develop a premium, feature rich panel with a strong emphasis on design and an improved user experience has already seen the panel win two prestigious design awards, the 2017 iF DESIGN AWARD in the Building Technology category and the Red Dot: Product Design Award 2017. These global award schemes recognise excellence in design across a variety of product categories. Our Product Development team continue to drive innovative thinking to provide solutions that our customers require and this includes keeping abreast of the latest technology and how these trends influence the market. Customers, just like installers, want to invest in systems that are 'future proof' and can grow in functionality and performance with their company. Predicting future technology and consumer trends is a science and what makes it harder is the fact that the best solutions don't always survive and prosper in the evolution of technology. However, we have seen the growing use of smart phone applications and biometric technology which has the ability to transform the way security systems work. 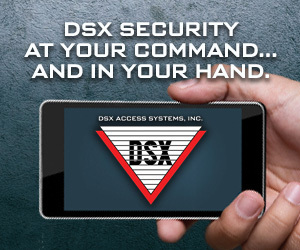 When using smart devices as user credentials, a world of opportunity opens up for access control and door entry technology. As we look forward to the next five years of product development, we will continue to ensure Net2 Entry develops in line with these technological changes for the benefit our installers and in turn, their customers. The success of Net2 Entry has exceeded our expectations and is one of our fastest growing product lines across all key markets. To mark its fifth anniversary, we are pleased to invite installers and integrators along to the Paxton stand at IFSEC this year to see for themselves how simple and straightforward Net2 Entry is to install and use. Visitors to the stand can meet Paxton’s team of international industry experts who will be on hand to offer advice and information about products and training. The stand will also host demonstration points including product displays, providing an insight into the company’s offerings.